Singapore Press Holdings and Yahoo are embroiled in a complex legal battle over copyright. It will be much watched. A battle royal is shaping up between one of Singapore’s most venerable institutions and U.S. internet giant Yahoo Inc. that promises to be among the most closely watched media dog fights of the New Year. Singapore Press Holdings (SPH) is already suing Yahoo for alleged copyright infringement, and now accuses the company of plagiarizing. It also says it will fight a counterclaim filed earlier in December by Yahoo claiming SPH had infringed its copyright. “SPH is determined to pursue this suit vigorously and to protect its copyrighted works…It cannot allow a third party to plagiarize its work without regard to the effort and resources that go into producing its content,” it said in a filing with the country’s High Court. Yahoo has rejected all allegations, arguing copyright does not protect facts and information and that SPH had re-produced Yahoo content on a citizen journalism website known as STOMP, produced by the Singapore publisher. Among their defenses has been jurisdiction. It has proven extremely difficult for a publication in one country to win damages from an internet-based group operating in another where laws may not be compatible and legal treaties regarding publishing may not exist. An Australian suing a locally produced internet portal owned by a Silicon Valley corporate has in the past had little chance of victory because of jurisdiction. 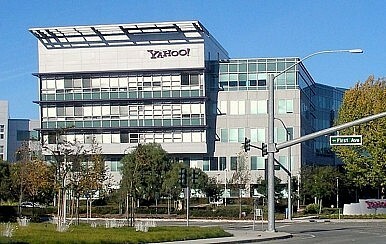 So it is with SPH and California-based Yahoo. SPH publishes Singapore’s Straits Times newspapers, among others, and is a cornerstone of the island state’s media landscape with a virtual monopoly on daily news and prime real estate. For the financial year ending August 31, group revenue totaled $960 million. Yahoo competes with SPH for online breaking news, while both are also up against Microsoft’s MSN in terms of winning advertising revenue. MSN has a news tie-up with local broadcaster MediaCorp. SPH also has the resources to match Yahoo and any outcome should provide legal precedents for publishing online and in the newspaper and magazine industries well into the future. It’s also likely to win much sympathy from its argument that Yahoo had enjoyed a “free ride.” Its newspaper peers around the region, and much further afield, have struggled for more than a decade to compete with the internet amid falling circulation and revenue, and all will be watching with much interest.